Book your stay with us and enjoy our exclusive breakfast at any time that suits you most, experience our Club La Boutique privilege inclusive of canapes, dessert and cocktails at The Speakeasy on 24th floor daily from 16.30 – 18.30 hrs and take advantage of our late check out until 18.00 hrs. Rate starts from THB 4,800++. Available until October 31, 2019. T&C apply! 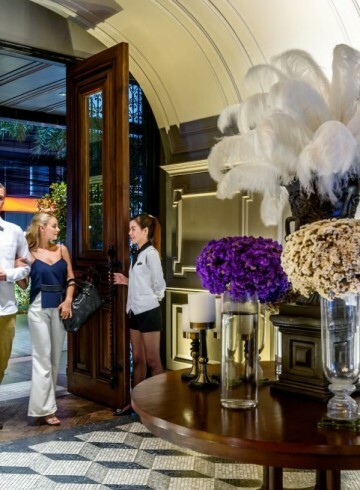 Hotel Muse Bangkok, the award-winning Bangkok Boutique Hotel, ideally located in Langsuan is the ideal choice for those who are looking for a central location for short break or extended holiday. Hotel Muse Bangkok situated close to the BTS SkyTrain Chidlom, Bangkok is easily accessible, with all key shopping districts only moments away as well as city attractions, making it the perfect base for your stay in Bangkok. Indulge in this great offer, why wait? !